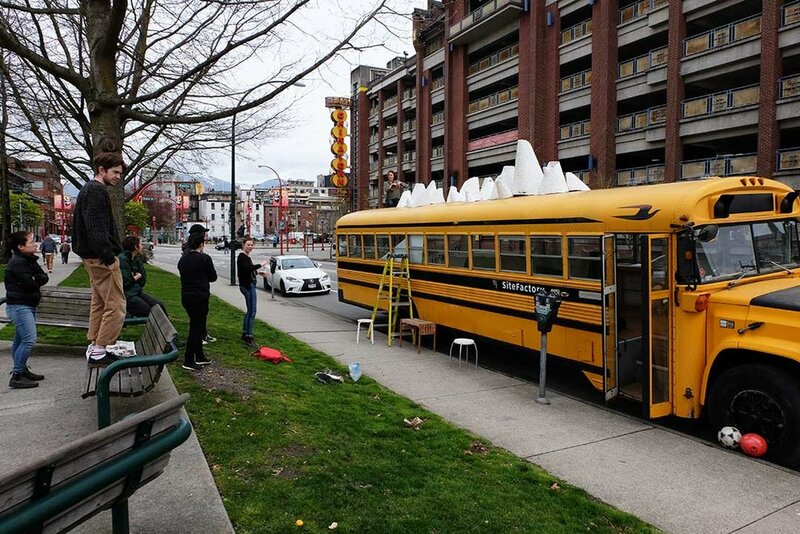 On April 14, 2018 we installed Mobile Barnacle City on location at Quebec Street at Keefer Street. There is something about the brave adventurousness, hearty support and enthusiasm of young artists that really warms my heart! 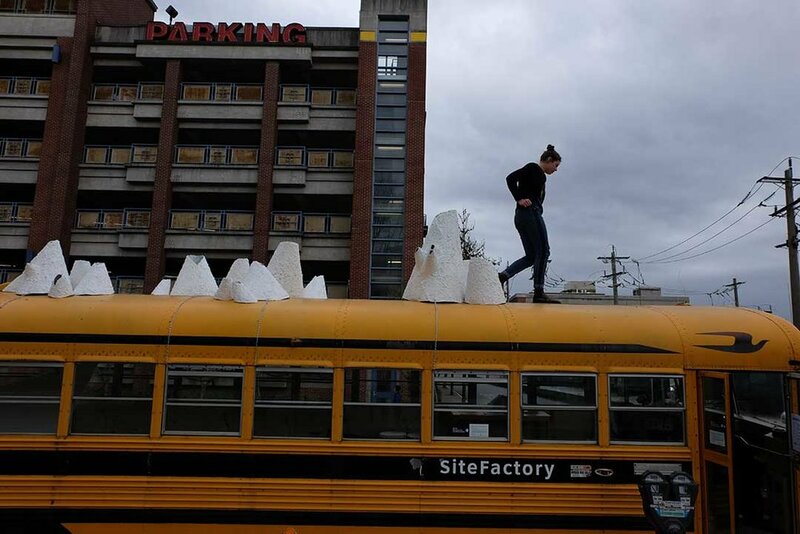 Taking over the street to install sculpture. 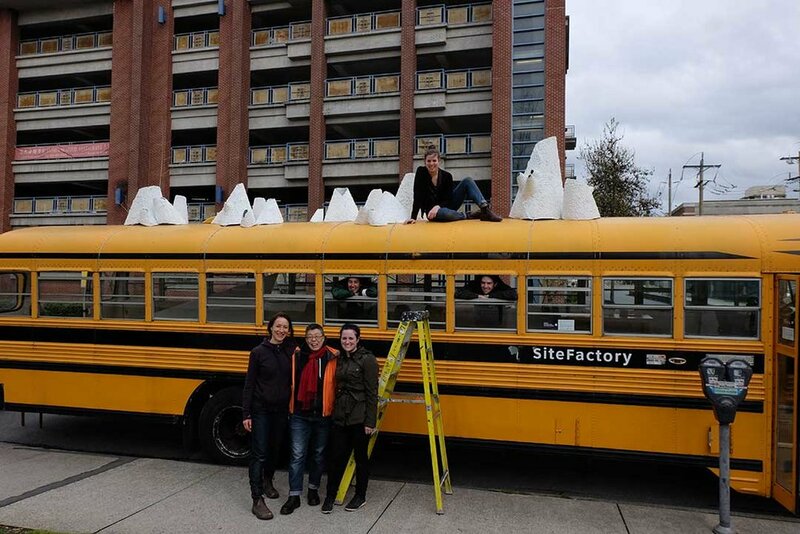 Many thanks to Emilie Grace Lavoie for creating the beautiful, quietly glittering barnacles, volunteers Melina Querel, Hannah Doyle, Jack Kenna, and Mae Stark for the hard work of installing the sculptures, and Leah Weinstein for continuing vision with the SiteFactory project. 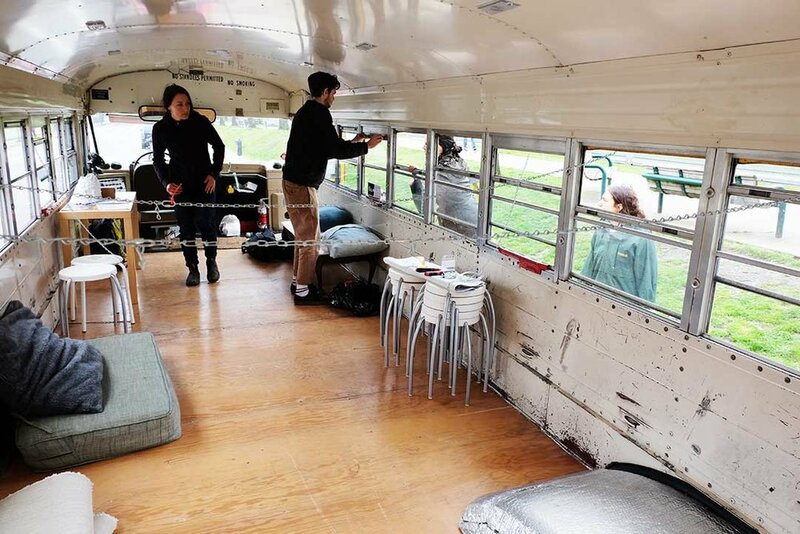 For more information please visit the MOBILE BARNACLE CITY webpage.